Big Horn Trading is proud to have two distinguished and local authors here for a book signing. Carol Bird and Lori A. Bird will be signing their books Saturday, August 1st , 2-5pm. “Blood Plague” and the “Humanity Abides Trilogy” are on sale now in store. L.A. Bird started her career as a Security Specialist in the United States Air Force, assigned to Panama and later Albuquerque, NM. After proudly serving four years in the USAF, she went on to serve as a Deputy Sheriff in Arizona for another 10 years. During this time she was a Patrol Deputy, Field Training Officer, a Detective investigating all crimes involving violence and property theft, and later a Patrol Sergeant. While working as a Deputy Sheriff, she attended Grand Canyon University earning a Bachelor’s Degree in Public Safety Administration. Pursuing new opportunities, she went back to college and obtained another degree, this one in nursing, allowing her to work as a Registered Nurse. Six years later, while still working as an RN, she decided to pursue yet another passion, writing! Using her knowledge from both law enforcement and nursing, as well as her passion for “surviving,” she created her thrillers Dying Vengeance and Blood Plague! Carol has had a life-long interest in all things relating to survival. Even as a child in San Diego, she carried around a small canvas bag with a bottle of water and a piece of fruit, a pocketknife, a flashlight and a deck of cards. Later she enjoyed backpacking, where she could carry around a lot more stuff and even got to stay out overnight! More recently she enjoys being a “survivalist” and pondering what life would be like in a post-apocalyptic world. Joining the Army at the age of eighteen, she was the first woman to attend the U.S. Army Chemical School, and was trained in CBR, or Chemical, Biological and Radiological laboratory techniques. 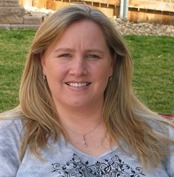 Carol has participated in two 10 day backpacking/survival trips and is a certified scuba diver. She has a private pilot’s license and has completed a few 50k races, several marathons and many, many races at shorter distances. She graduated from California State University Northridge with a Bachelor of Science in Biology/biotechnology and has worked as a Clinical Laboratory Scientist for most of her adult life. Carol has three daughters and a son, and lives in Wyoming with one of her daughters and grandson.